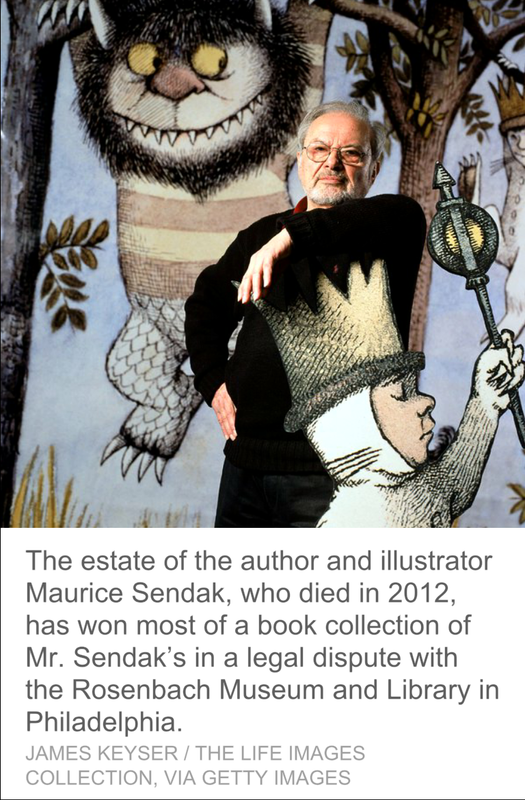 The two groups of executors, the estate and the Rosenbaum Museum, who have overlapping responsibilities to settle Maurice Sendak's estate are unable to reach an agreement two and a half years after his death. Mr. Sendak had a long standing relationship with ‎the Rosenbach Museum and Library of the Free Library of Philadelphia, loaning them books in his collection and the museum featured over 70 exhibitions of his work over decades. Mr. Sendak's estate claims that the collection he had loaned to the Rosenbach is just that, a loan. The Museum disagrees. 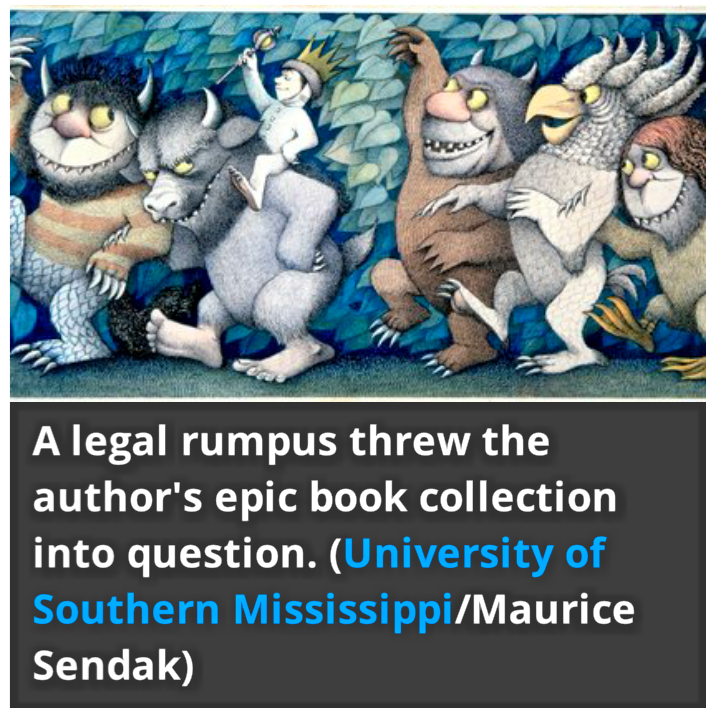 However this unfolds, it's certainly going to be a Wild story to add to Mr. Sendak's legacy.